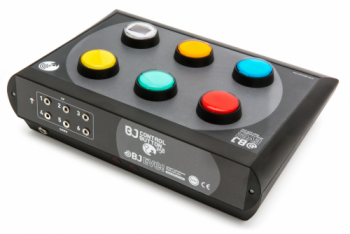 BJ Control Button allows you to control household devices in the easiest way. 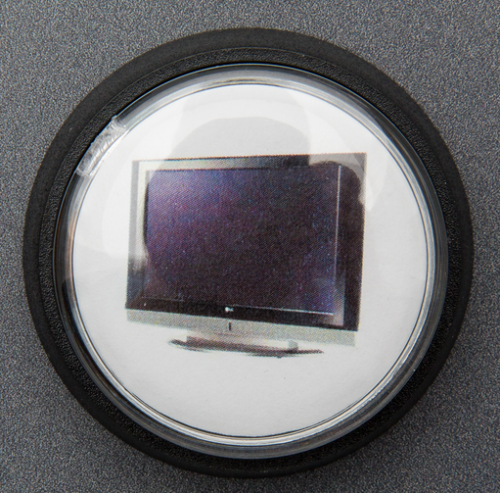 The size of the buttons, the possibility to add symbols and the use with external switches facilitates environmental control for many people, especially beginners and those who need simple interfaces or are in a multisensory environment. Control devices that work with infrared directly like TV, stereo, air-conditioning, etc. and elements like doors, lifts, furniture, lights and typical elements of a multisensory room by means of the BJ System enablers. Complete control of the environment: direct control by pressing the customisable buttons or via external switches. Specially designed for beginners: start up with simple cause-and-effect activities and continue with the first "choice-making" activities. Up to 10 programmable functions. Record the functions of any infrared device and control different elements with the radio frequency system. Compatible with the Sensory SHX System. Control the first 6 cells of any scene of the BJ Control SHX software. Connect up to 6 switches for customised access. Use a micro USB cable to charge the long-lasting battery.